Most people are born with two kidneys. Renal agenesis (or kidney agenesis) means one or both kidneys do not develop while a baby is growing in the womb. Renal agenesis may be picked up before birth on the 20 week antenatal ultrasound scan, or soon after birth. It may also be picked up in an older child who has some symptoms. If one kidney has not developed, this is called unilateral renal agenesis. Many children and adults live with one kidney with no serious problems. They may need to go to follow-up appointments to check for any possible long-term effects. If both kidneys have not developed, this is called bilateral renal agenesis. If this is suspected your antenatal scan, you will need to go back to the hospital for more scans to confirm the problem. Sadly, babies with no kidneys are unable to survive. Renal agenesis happens in the womb when one or both kidneys do not develop. It is estimated that one baby in a thousand is born with only one kidney. However, it is very rare that both kidneys do not develop. It is not always possible to know why renal agenesis happens. In the majority of cases, it is not caused by anything that the mother does during her pregnancy, and it is unlikely that a future pregnancy will result in renal agenesis or other problems with the kidneys. The 20 week antenatal ultrasound scan looks at your baby growing in the womb. Renal agenesis may be suspected if one or both kidneys cannot be seen on this scan. You may need to go back to the hospital for more scans or other tests to check whether this is affecting your baby. After your baby is born, he or she may need an ultrasound scan or other tests to confirm whether there is renal agenesis. In unilateral renal hypoplasia, one kidney has not developed. (‘Unilateral’ means one side.) Many children with only one kidney have no symptoms or complications and do not need treatment. Sometimes the other kidney grows larger than normal to make up for the missing kidney. However, children may be at risk of urinary tract infections (UTIs) and/or hypertension (high blood pressure) later in life. Your child may need to visit your family doctor to for urine tests and blood pressure measurements. In bilateral renal agenesis, both kidneys have not developed. (‘Bilateral’ means two sides.) If this is suspected, you will need to go back to the hospital for more scans to confirm the problem. Sadly, babies with no kidneys are unable to survive. Doctors understand that there are some possible causes of renal agenesis, though it may not always be possible to identify the cause in your baby. It is not usually caused by anything that the mother does during her pregnancy. Unilateral renal agenesis is relatively common – it is estimated that one baby in a thousand is born with only one kidney. Bilateral renal agenesis is much rarer. Although there are a few known causes of renal agenesis, most of the time we cannot identify a specific cause. Most cases of renal agenesis are not inherited from the baby’s mother or father. However, some cases are caused by genetic mutations. These are problems in the genes (which are in each of our body’s living cells), which are passed on by the parents. Occasionally, the renal agenesis is part of a syndrome, which a collection of symptoms and signs. These children also have other problems, such as with the digestive system, nervous system, heart and blood vessels, muscles and skeleton, or other parts of the urinary system. These may be caused by genetic mutations. A few cases of renal agenesis are caused by some medicines taken by the pregnant woman – including medicines for seizures (also called convulsions or fits) or high blood pressure (such as ACE inhibitors (angiotensin-converting enzyme inhibitors) and angiotensin receptor blockers inhibitors) and angiotensin receptor blockers (ARBs)). Speak with your doctor about the medicines that you are taking during pregnancy. It may be caused by some illicit drugs, such as cocaine. Will it happen in affect other family members? Unless you have been told that your baby’s renal agenesis was caused by a genetic mutation, it is unlikely that a future pregnancy will result in renal agenesis, or other problems with the kidneys. If one of your children has renal agenesis, it is unlikely that another of your children or family members will get it. Your doctor or healthcare professional will be able to give you more information. In unilateral renal agenesis, one kidney does not develop while a baby is growing in the womb. (‘Unilateral’ means one side.) The other kidney usually looks and works as normal. Most people have no long-term problems with unilateral renal agenesis, and some do not even know that they have only one kidney. The 20 week antenatal ultrasound scan looks at your baby growing in the womb. Unilateral renal agenesis may be suspected if one of the kidneys cannot be seen. If there is not enough amniotic fluid (oligohydramnios), this may mean that one or both kidneys are not working properly, and the baby may have problems breathing after birth. You may need to go back to the hospital for more ultrasound scans during the reainder of your pregnancy . Your obstetrician may refer you to a pediatrician, a doctor who treats babies, children and young people, and may be in a hospital or clinic, or a paediatric nephrologist, a doctor who treats babies, children and young people with kidney problems, and may be in a hospital or clinic. Sometimes, unilateral renal agenesis can be seen with another condition that happens in the womb, called antenatal hydronephrosis. The other kidney does not drain urine properly. 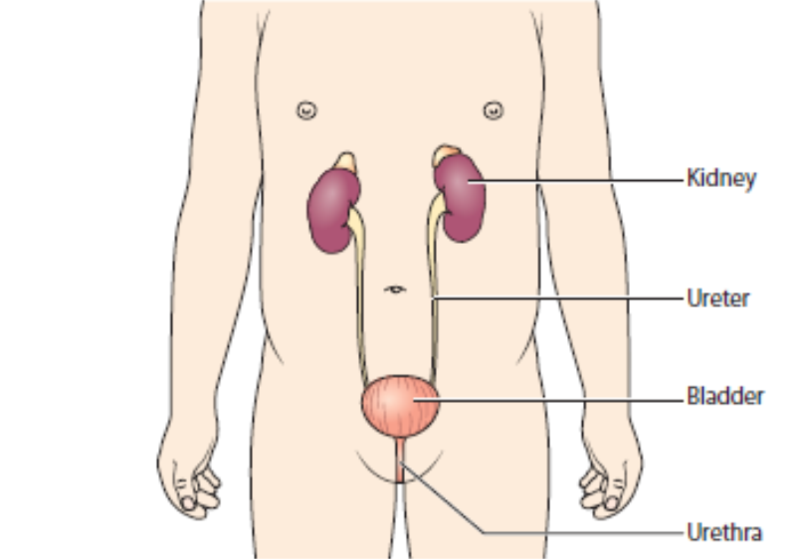 The affected kidney becomes stretched and swollen. Antenatal hydronephrosis often gets better at a later stage in the pregnancy, but your doctor will check how your baby is affected. Sometimes, unilateral renal agenesis is only picked up after birth or when a child is older. It is usually found during a scan that a child is having for another reason, such as a urinary tract infection (UTI) or after an accident. After your baby is born, he or she may need some imaging tests (scans). These use special equipment to get images of the inside of the body. They are used to confirm that your child has only one kidney and look for any complications. DMSA scan – a chemical that gives out a small amount of radiation is injected into one of your child’s blood vessels. This chemical is taken up by healthy parts of the kidney and a special camera takes pictures. This can check that the single kidney is normal. Occasionally other imaging tests are needed.Your doctor will discuss this with you. People with only one kidney have a slightly higher risk of hypertension, blood pressure that is too high. Some children get urinary tract infections (UTIs), when germs get into the urine and travel up the urinary tract (or system). Babies and children with UTIs may become irritable, have a fever, have pain on weeing, feel sick or be sick. In many people with unilateral renal agenesis the other kidney works normally. The normal kidney can work harder to compensate and do the work of two kidneys. Sometimes children with unilateral renal agenesis have an abnormality in the other kidney. This may include renal hypoplasia or renal dysplasia. Part or all of the kidney does not develop properly and is smaller than usual. The kidney can usually clean blood and make urine, but may not work as well as a kidney with no abnormality. If the other kidney does not work normally, your child may have reduced kidney function. He or she may be a greater risk of progressing to later stages of chronic kidney disease (CKD), and will need more monitoring. Many children will not have long-term problems. The other kidney usually grows larger to help do the work of two kidneys. A small number may be at higher risk of problems later in life. Your child should be able to do all the things other children their age do . He or she can go to nursery and school, play with other children and stay active. urine tests – to check for protein in his or her urine (proteinuria), which may be a sign of problems in the kidney. You or a nurse will collect some of your child’s urine in a small, clean container. A dipstick is dipped into the urine – this is a strip with chemical pads that change colour if there is protein in the urine . This is the end of the information about unilateral renal agenesis. If you would like to read more about tests and diagnosis, treatment or supporting information, you can find a list of topics covered on the infoKID website at www.infoKID.org.uk. In bilateral renal agenesis, neither kidney develops in the womb. (‘Bilateral’ means two sides.) Babies with this condition have no working kidneys. The 20 week antenatal ultrasound scan looks at your baby growing in the womb. If the person doing the ultrasound cannot see kidneys, or can only see a small amount of tissue where the kidneys should be, bilateral renal agenesis will be suspected. The scan also measures the amount of amniotic fluid (or liquor), the fluid that your baby floats in. The baby’s kidneys start making urine and pass this out into the amniotic fluid. 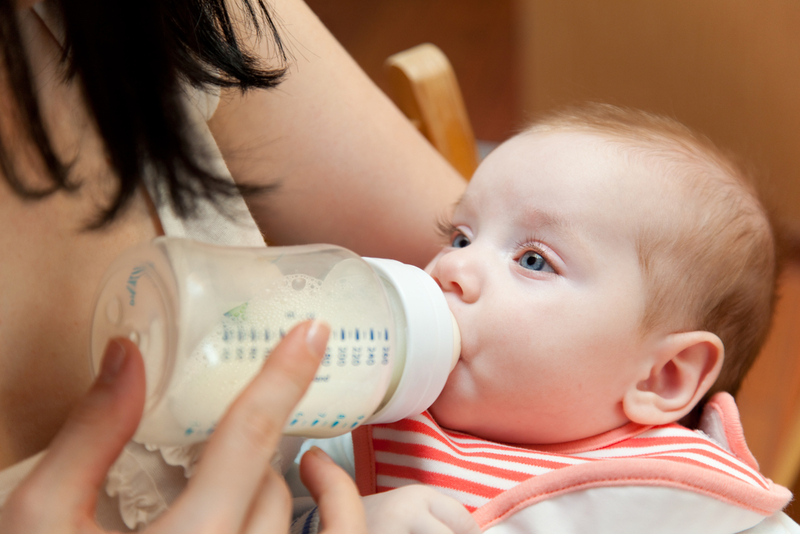 This fluid protects your baby from getting hurt from the outside and helps his or her lungs mature so he or she is ready to breathe after birth. If there is very little or no fluid, this is another sign of a serious problem with the kidneys, such as bilateral renal agenesis. You may need more ultrasound scans during the pregnancy to help find out whether it is bilateral renal agenesis. Sadly, babies with bilateral renal agenesis are unable to survive. Some die during the pregnancy or within days after they are born. While a baby is growing in the uterus (womb), he or she floats in amniotic fluid. This protects the baby from getting hurt from the outside and helps the lungs mature so that he or she is ready to breathe after birth. The baby swallows or ‘breathes in’ the amniotic fluid. Doctors are trying to understand what causes bilateral renal agenesis. It is sometimes caused by a genetic mutation, which means that it may be inherited from the mother or father. However, it is not usually likely that a future pregnancy will result in renal agenesis, or other problems with the kidneys. Your doctor or healthcare professional will be able to give you more information. This is the end of the information about bilateral renal agenesis. If you would like to read more about tests and diagnosis, treatment or supporting information, you can find a list of topics covered on the infoKID website at www.infoKID.org.uk.